On Wednesday, results of the NBA.com annual GM Survey were released to predict how the 2018-19 season will play out. In this year’s survey, the Cleveland Cavaliers were barely mentioned in the predictions, as the team appears just twice amongst the 49 questions that were asked. Cavaliers rookie Collin Sexton appeared in the “others receiving votes” category for the 2018-19 Rookie of the Year award behind fellow rookies Luka Doncic of the Dallas Mavericks, Marvin Bagley III of the Sacramento Kings, and Wendell Carter Jr. of the Chicago Bulls. Sharpshooter Kyle Korver received the fourth most votes from GMs when asked which player has the best off-ball movement. And that’s about it. In the Coach of the Year award category, Cavs head coach Tyronn Lue received zero votes on a list headlined by San Antonio Spurs head coach Gregg Popovich, Boston Celtics head coach Brad Stevens, Houston Rockets head coach Mike D’Antoni, and Golden State Warriors head coach Steve Kerr, to name a few. 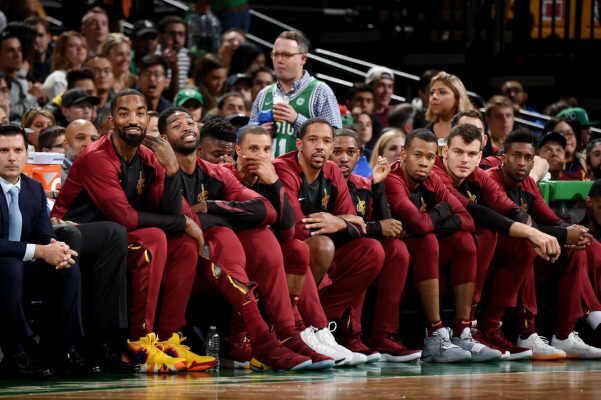 Moreover, the Cavs did not receive any votes when asked about the most promising young core in the league, despite the addition of Sexton and significant development of Cedi Osman, Rodney Hood, Larry Nance Jr., Jordan Clarkson, and Ante Zizic. In previous years, the Cavaliers had been a team frequently mentioned in the survey, as the team had LeBron James for the last four seasons. However, with the departure of James, the league’s general managers evidently do not believe that the Cavs will go very far this season, and do not expect many Cavs players to bring home accolades. Despite these predictions, the Cavaliers have a lot to prove this season and seem hellbent on remaining a top competitive team in the East.